APIs are application programming interfaces. Thanks to the widespread attention APIs are getting every day mainly from the mainstream media, many people wonder what an API is. The question became the million-dollar question especially for those who understand the great potential of APIs. The potential is huge as there could be millions of more dollars to be saved and made. Understanding the technical stuff behind APIs is above crucial in order to move forward in some meaningful way. There is no any simple way to explain what APIs are, but they are commonly explained as user interfaces but with various users in mind. An API, in fact, is an alternative to a more familiar user interface. Every software needs an interface which makes it easy to consume large data and APIs do just that. An API is used by various software applications in the same way that interfaces are used for apps. The API economy has grown in the past few years, so today it spans thousands of various API-providing companies across different categories. Within every category, there are different offering as all API-providing companies are competing for the affection as well as money of those third-party developers. The situation is the same in the online gambling and betting industry. 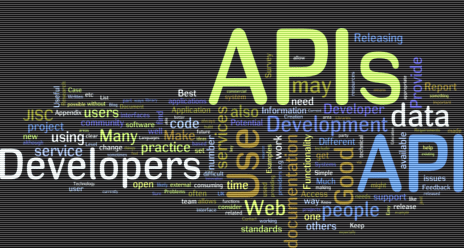 There are many API providing companies as APIs have become the drivers of the businesses. Online betting and gambling industry has been growing since the first online casino was established back in 1994. The industry has grown to become a multibillion-dollar industry. Since billions of dollars are included, it is one of the highly regulated industries. Even though the market for betting and gambling APIs is quite small in comparison to other markets, it was noticed that the overall activity in the industry is growing especially in the past few years. Today there are numerous services that promise worldwide bettors access to data that will help them win serious money. In fact, API-base betting and gambling have become a drive of every betting business these days. Therefore, many API-based companies offer their service in order to enable developers to add real money gambling excitement to their apps using their APIs. APIs really have changed the overall online casino industry especially those that follow latest industry trends like APIs introduced by Betfair and Batable. Betfair introduced its Exchange API that allows developer greater access to market data including market volume and market data. The Betfair’s API also may be used in order to place bets, manage bets, check bet status and retrieve account information. For those developers that are currently building their trading tools, Betfair’s API offers various services and features and a Heartbeat function, which enables those unmatched bets to be automatically canceled if their applications lose connectivity. The Betfair’s API can be accessed using two different protocols, Rescript and JSON-RPC. In order to assist developers that are just starting, Betfair also provides extensive documentation including sample code for different programming languages like Python, Java, PHP and other. When it comes to pricing, access to this API is free to all Betfair players, but there are some limits set. Usage above the limits comes with some additional fees. However, these additional fees can be offset by API subscription fees and commission paid. Those bookmakers, software vendors, and businesses which want to use this API for some commercial purposes first have to provide a commercial license. Access to the API also may be arranged for different Betfair affiliates. Betfair’s API is the leading currently on the market. In fact, Betfair pioneered the online gambling and betting exchange API and due to its features, it remains the world’s greatest player in the market. The company counts millions of active consumers and back in2013 it matched more than a billion bets that were worth more than a staggering $90 Billion. A huge, as well as thriving gambling and betting ecosystem, has been built on the Exchange API provided by Betfair. Today it is used by a variety of various market participants. In addition, individual punters also use the API in order to develop their own betting tools and trading strategies. Numerous leading software vendors have developed their own commercial trading applications that rely on the Betfair’s API. Alongside software vendors and individuals, major bookmakers also use the Betfairs’s API in order to support their operations. Betable introduced another popular online gambling and betting API. Those game developers using Betable’s API can add some real-money functionality without worrying about the overall complexities of operating a legal online casino. The API introduced by Betable abstracts the most popular casino games like bingo, blackjack, slot machines and roulette into API calls while eliminating the need for software developers to spend a great amount of time building that core logic which powers these casino games. Players using Betable API may easily deposit as well as manage their funds. They also may use OAuth in order to authorize different developer’s games. Those regulated gambling activities like random number generator and others all take place one server provided by Betable. Betable further handles payouts, fraud detection, and other heavy lifting activities. Betable, in fact, is disrupting the overall online gambling industry as the company allows developers to add that real-money gambling experience to their casino games. Casino providers using Betable’s API can create innovative new forms of casino games that are mainly based on the logic found in other gambling mainstays like roulette and slot machines. SharkScope introduced another popular API for online betting and gambling. It helps its customers to improve their success odds in the competitive world of online casino games, especially in online poker. SharkScope lets players retrieve information and track statistics about their opponents at any time. Using SharkScope companies have options to build various applications on top of obtained SharkScope tracks. Other popular online betting and gambling APIs currently on the market include OddsMiner, eOddsmaker, FairLuck, Pinnacle Sports, Locaid, LOtterFeed.com and Betfair Games API.